I don’t think I know anyone who enjoys doing winged eyeliner. 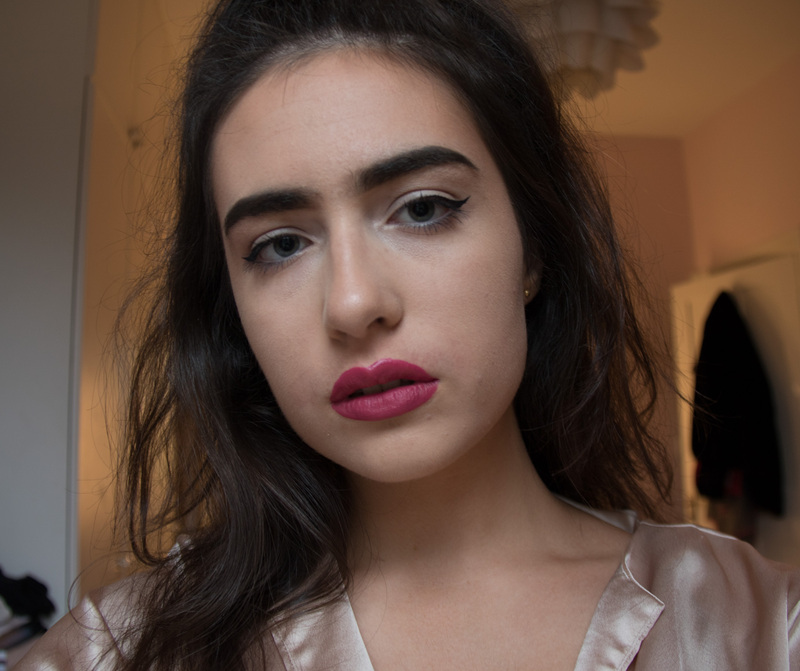 It’s a process full of frustration and feeling tense about whether you’re going to potentially ruin your makeup or get an average looking wing. There’s a lot of aspects about getting the perfect wing (fine tips, clean brushes, cleaning up with concealer etc), but what if you could always get it right? Along with these products I’m going to list, all you need is a semi-steady hand and you’ll never have to fret over your eyeliner again. Are you looking at these prices and thinking “£62 just for eyeliner? That’s insane.”? The only product you ‘need’ here is the Benefit Push Up Eyeliner. 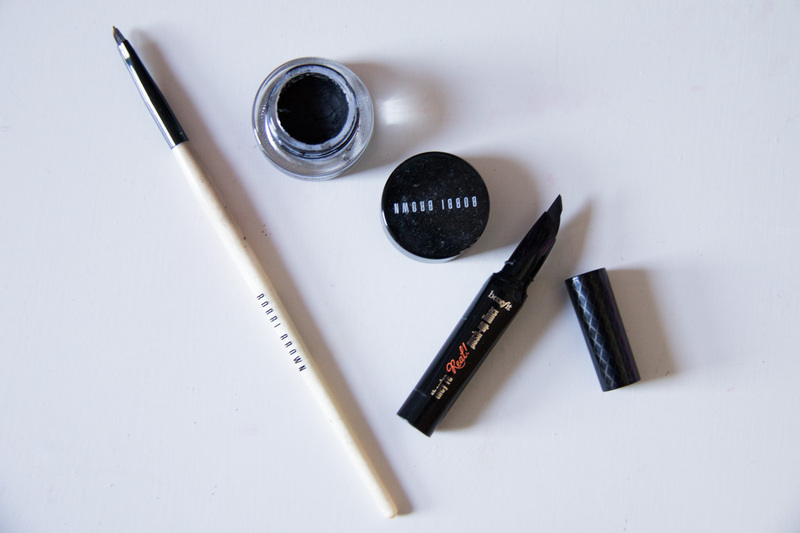 I just like using my Bobbi Brown liner and brush because it’s what I’ve always used and like working with best. Here, I’m using a deluxe version of the liner, you definitely don’t need the whole product just for one line! I had forgotten about this eyeliner as I received it in a gift set for Christmas and never used it as I was a bit dumbfounded by the packaging. Needless to say, it wasn’t that difficult to figure out once I got around to trying it. I began applying my eyeliner and realised how effortlessly I was able to draw a straight line to map out my wing. I tried to finish my eyeliner with the product but it dragged across my eye; this is when I thought of a better way of using it. Compared to my traditional methods of drawing my wing, liquid and gel, this was a breeze to apply. I finished up the wing by grabbing my usual liner, in this case it was gel, and filling in the rest. Applying the rest of my wing doesn’t usually give me any bother, but if it does for you, I wouldn’t recommend using this product for that. I find you have to press quite hard on the skin to use this, which results in it dragging the skin around your eyelid if you try to use it in this way. This creates a mess and will also encourage premature wrinkles! Try a pen or a gel and a brush, as liquid eyeliner can be quite intimidating. Personally, I don’t like pens, but that’s just me – use what works for you. If you struggle with winged eyeliner, the only ‘hack’ I can give you is: practise. There’s been a lot of tools around recently, like stamps, that are supposed to create your wing in ‘seconds’. I’ve read a lot of reviews and watched a lot of videos on these and they all appear to be gimmicks which require a lot of extra work after applying. The best way to master eyeliner is to keep doing it. No one is ever going to come up to you and tell you that your eyeliner is rubbish, so do your worst!